Welcome to our English speaking course from Mumbai Thane Navi Mumbai. This is an English speaking practice lesson to improve your spoken English and learn English phrases to talk about traffic and commuting. 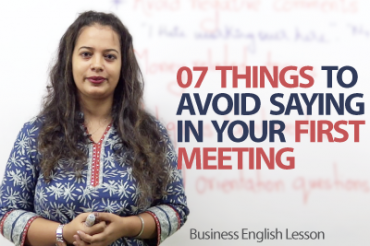 Watch the video as Niharika talks about ‘transportation woes’ and learn some useful English expressions and phrasal verbs that people use when they are talking about traffic and their daily commute into work. You can also learn how to answer some of the most common conversation questions on this subject. Listen for the following expressions in the video. Can you work out what they mean? Traffic jam — a long line of vehicles on a road that cannot move or can only move very slowly. 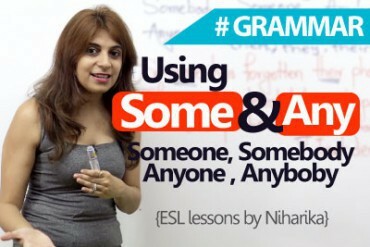 Hi I’m Niharika and welcome to a new English speaking course Mumbai. You know this morning when I was driving to work, as always I was stuck in a bad traffic jam and I’m sure most of you guys especially who live in larger cities have to face this situation on a daily basis and many times we do come across these conversation questions that, so how do you commute to work? Or people ask you; do you hit traffic a lot? So these are the questions that we gotta answer. And that’s what we’re gonna learn today. We’re gonna learn some expressions and some phrasal verbs related to traffic and commuting. So let’s have a look here. The first one that we have is bumper to bumper. So what is bumper to bumper? Well, bumper to bumper traffic means a long line of vehicles which are stuck in traffic of course and they are literally one behind the other and they cannot move or they are standing still or they are moving really slow. So that’s when you call that I am stuck in an awful bumper to bumper traffic. So this means the traffic is really bad. Okay, all these vehicles are jammed up and you can use this expression bumper to bumper, okay. Then we have road rage. Now, what is road rage? You know at times when people get really violent and extremely angry, the people especially who are driving and they get mad at other drivers. Okay, and they start you know abusing or make these very rude gestures, so that is road rage. Most of the times, we all face road rage. It’s because you know the life is so stressful these days and of course, the traffic jams make it worst. So that’s why people do come across a lot of road rage. Well please remember that road rage is extremely dangerous, okay. Just avoid this violent and aggressive behavior. We also have the rush hour. The rush hour we also call it as peak hours. Now rush hour is, well it means when people travel especially in the morning hours when they are going to work or the evening hours when they are coming back home from work and all these buses or the trains are extremely crowded. Okay, they are crowded and they are so full. Vehicles are lined up on the road. The traffic really moves very slowly. So that is rush hour. So usually people who of course who do not go to work every day. Who are just traveling, may be they are going for shopping or they’re going to a movie, they kind of avoid rush hours. the reason because if they go, you know the period is between, it varies between 8 o’clock in the morning to ten or in the evening it’s from 5 pm to may be 7-7.30. Okay, so these are the rush hours for almost all the cities. Okay, so people kind of avoid traveling during the rush hours. We also have grid lock. Grid lock is well when you know when cars, completely stand still. Okay, very severe traffic congestion. When there’s severe traffic congestion, we call it a, we use the word called grid lock. You can say that, oh my God when I was traveling this morning, it was a complete grid lock on the highway. Well, why am I using this word, the reason because the cars were completely jammed up? There were so many cars on the road that there was no space to move at all, okay. So that is grid lock. We also have hold ups. Hold ups is a situation that causes delay. You know possibly there’s an accident on the road or there is a road closure because the road is under maintenance or possibly there’s a procession going on. So that all leads to a lot of traffic. So that’s what we call that a lengthy, you know may be I was stuck in traffic because there was a lengthy hold-up. So possibly because there was an accident or there was a procession, so these are all hold ups, okay. Now the next one that we have is a maelstrom. Maelstrom is a situation that is an extremely confusing or very chaotic. You know if for example, there’s an accident on the road and everything is just so confusing. People kind of line up to see what’s happened. People just leave their cars as it is and you know they want to just have a look that you know what caused the accident. So it’s a very chaotic situation. So that’s what we call, that you know there was a maelstrom on the road and that’s why I was stuck for hours. Or maybe someone, well you know at times when our red lights do not work, it’s such a confusing chaotic situation, right? All the cars just want to lead their way and you know of course because there are no red lights, nobody is following rules. So it’s a completely chaotic situation and that’s when you can use this word, i.e. it was a complete maelstrom this morning. So these are certain words and expressions that you can use to talk about traffic and now let’s have a look at a couple of phrasal verbs related to traffic and commuting. So let’s have a look at some phrasal verbs here. We have run out of, run out of means to get over with something and when we are talking in regards to traffic and commuting, well this phrasal verbs can be used when you are running out of gas, when you are running out of diesel or petrol or even time and if you’re stuck in traffic, you’re definitely running out of time because you’re trying to get somewhere and you’re stuck in this awful traffic jam and you’re running out of time. And you can also use it as; oh you know I am running out of petrol, so I need to rush to a petrol station or a fuel station, okay. The next one that we have is pulling over. Pull over means to park your car or take your car off the road. Okay on the side. So for example, a traffic cop, okay he’s sees you speeding, okay and he would ask you to pull over. This means he would ask you to come off the road, okay and park it at the side of the road. Okay so that’s when you use the word; use this phrasal verb that is to pull over. So well the traffic cop so me speeding so he asked me to pull over. Okay, the next one that we have is to pull out. Pull out means to leave. 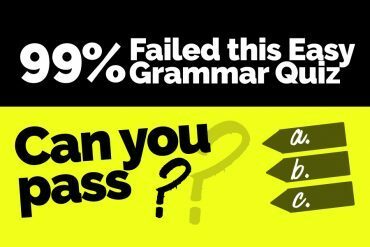 so you already have parked your car in your driveway and may be you’re just want to go pick up something from the store, so you can always use this phrasal verb saying that, oh I’m gonna pull out and grab something from the store to eat, okay. Or the car pulled out in front of me and I was just about to hit the car, okay. So maybe you missed seeing the car, that just got pulled out and you were about to hit that car. Okay, so that’s how you can use this phrasal verb. And the last one that we have is run over. Run over means to hit someone with your vehicle, okay. you know sometimes there are of course there are accidents on the roads and you know you hit someone with your car or someone gets hit by the car, so you always use this phrasal verb that, he was run over by the truck or he was run over by that car or the dog was run over by that car. Okay, so that’s when you can use this phrasal verb which means to hit someone by your car or by your vehicle, okay. So somebody gets knocked down which means that somebody is run over by the car, okay. So these are the phrasal verbs that you can use. So hope these expressions and phrasal verbs help you to talk about traffic and to talk about commuting and the next time you would like to use this, please use it confidently and I’m sure you will do great. I will see you soon in your next lesson, till then you take care. 07 Things you should never say when you meet someone for the first time.